Copyright, 1896, by Bunnell & Darenny. Words by Wilson Imbrie Davenny. Music by Otto Bonnell. 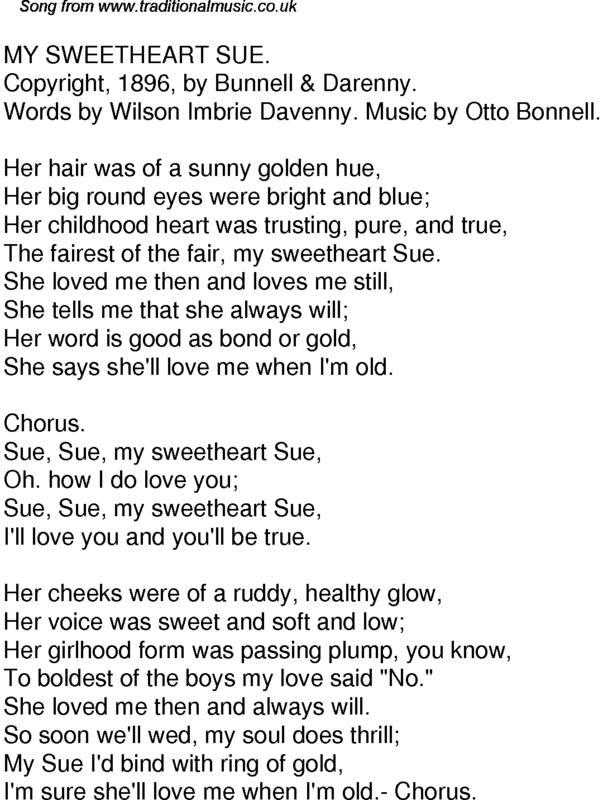 The fairest of the fair, my sweetheart Sue. She says she'll love me when I'm old. I'll love you and you'll be true. To boldest of the boys my love said "No." She loved me then and always will. I'm sure she'll love me when I'm old.- Chorus.